You are looking southeast from the Franklin Avenue Bridge. In the distance at right is an old railroad bridge. 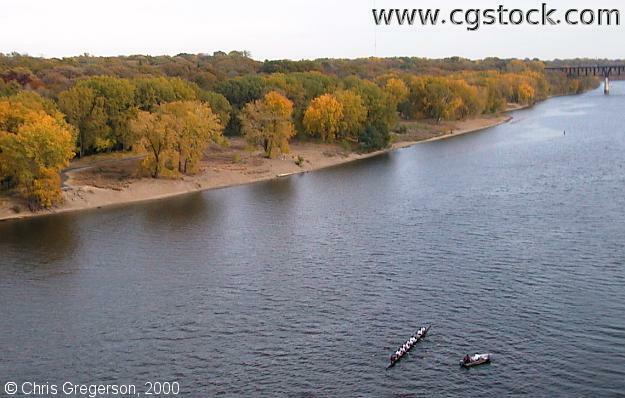 There is a U of M crew team at lower-right.